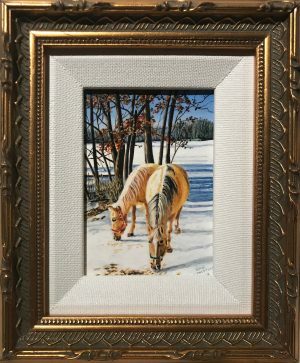 Hayton’s passion is to render sun-drenched landscapes that usually include architecture, and sometimes horses. 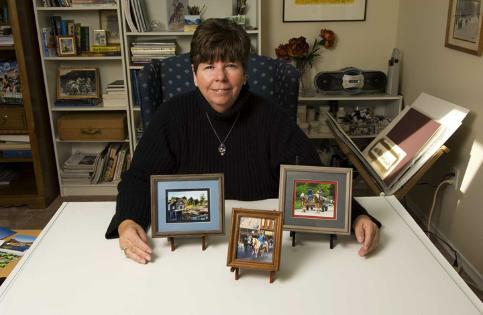 Her love for these subjects comes from two sources. 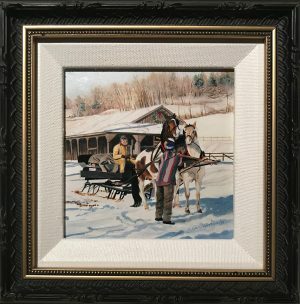 All her life, Gail Hayton has been creating imagery with a jewel-like quality. 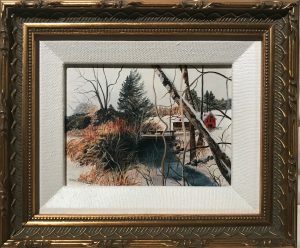 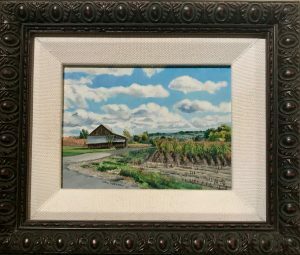 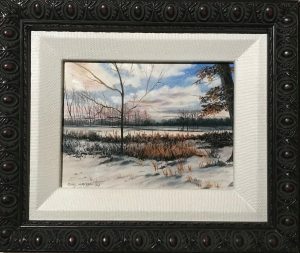 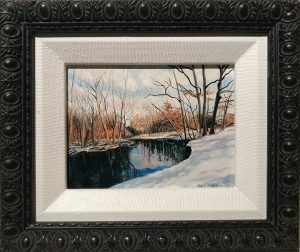 After experimenting with woven tapestries, embroidery, quilting and large-size paintings in pencil and watercolor, she finally found her “jewel” in miniature oil paintings. 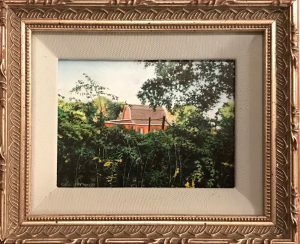 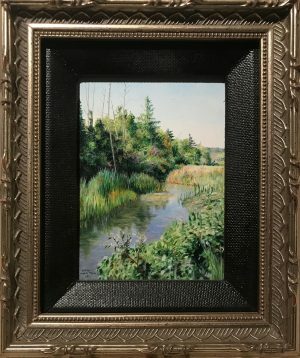 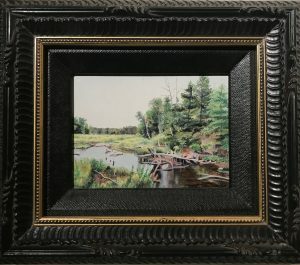 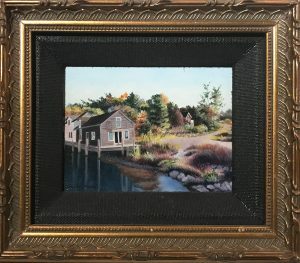 “Fishtown” is a miniature oil painting by Gail Hayton, depicting the beloved Leland, Michigan, landmark. 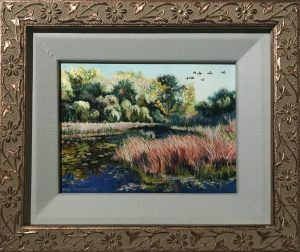 Just “Over the River” to home is Gail Hayton at her best. 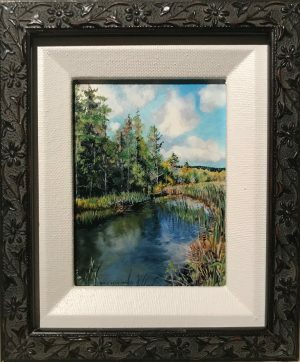 Gail Hayton takes her inspiration from nature, and no doubt this is one of her favorite spots.